If commercial electricity is available and dependable the DeLonghi TRH0715 Oil Filled Radiator Heater, 1500 watts, 5118 BTU, can be a really good option. I use one of these heaters to heat my house, Sassy Lilac. Indoor safe portable propane heaters with a low oxygen safety shutoff pilot are Mr. Buddy portable heaters. Fuel can be supplied two ways: from disposable cylinders or through a connection to an outside propane tank. Non vented propane heaters can be inexpensive. Many can be mounted on a wall. Use more than one smoke and oxygen depletion alam when using the Mr. Buddy or similar propane heaters if you plan to use the heater while you sleep. Direct vent propane heaters use outside air for combustion and such as the Dickson P9000, direct vent, 5500 to 7500 BTU, are available. The Empire direct vent heater must be mounted on an outside wall and does not require the extra expense of a chimney. The Dickson requires a chimney. These heaters do not require electricity. Small wood stoves, with the proper heat shields, can be used in a tiny house. The SilverFire Cascade Cook Stove Oven, $799 including shipping, may be of interest for some applications. Wood can be placed in the firebox or gravity fed wood pellets can be used. 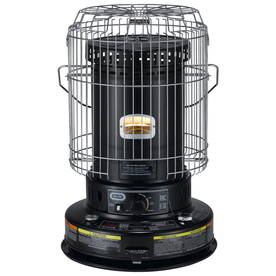 The 35,000 BTU stove is rated for 500 to 1200 sq ft.
Dimensions 39w x 13d x 75t in. Rocket stoves, scaled down as may be needed, can provide a very efficient wood stove for space heating. 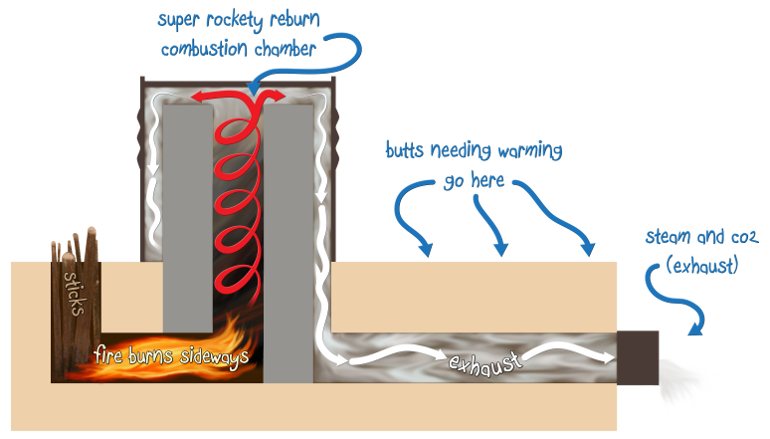 From the folks at Permies.com, here is information about super efficient rocket stove mass heaters. “This could be the cleanest and most sustainable way to heat a conventional home. Some people have reported that they heat their home with nothing more than the dead branches that fall off the trees in their yard. And they burn so clean, that a lot of sneaky people are using them illegally, in cities, without detection. Kerosene heaters work very well. No electricity required. Make sure that you purchase an extra wick specifically designed for the heater. Start the heater outside. Bring inside when the flame turns blue. Do not let the flame extinguish while inside the house. Adjust the wick height for a blue flame.